Summary: Taxpayers are now filing their first returns under the new tax law, and companies are realizing how it affects their taxes and their business. We provide a comparison of the two types of incorporations. Using new technology can be taxing for some, while boosting performance for others. 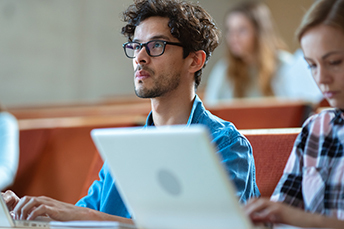 In the world of education, research by McGraw finds technology increases engagement with course materials (77%), professors (64%) and other students (50%). More interesting perhaps, 86% of students say technology helps them be more effective and efficient. In banking, technology tools are critical, but some are helpful while others may be taxing. Today though we look at another sort of taxing situation and that is the impact of the new tax law. Taxpayers are now filing their first returns under the new tax law, and companies are realizing how it affects their taxes and their business. A comparison between the two types of incorporations and a bank's individual priorities can help bankers determine which choice is the better fit. The pluses of C corp status: There's no denying that the change is a big plus for C corps. C corps pay a maximum 21% tax rate, substantially less than the maximum 37% individual tax rate that S corp bank shareholders pay. That's a $160k difference in taxes on $1mm in taxable earnings. The new tax law also lets individuals deduct just $10k of their state taxes on their federal returns. C corps don't have this limit, a benefit that S corp shareholders lack. On that same $1mm of a bank's taxable earnings, that means an additional tax savings of around $20k. C corps don't pay the 3.8% Medicare tax on passive income. S corp shareholders, by contrast, may have to pay this tax. Community banks that are eligible C corps can account for bad debts using a tax reserve accounting method. That can give C corp banks additional tax deductions that S corp banks can't take. In addition, C corps can deduct at least 50% of dividends received from other corporations, don't have to include certain company-provided fringe benefits in shareholders' gross incomes, and can deduct accrued expenses to shareholders who own 50% or less of the bank's stock. S corps have benefits too: Not every advantage goes to C corps. C corps pay taxes twice; first on their taxable corporate income, now at a maximum rate of 21%, and again at an individual level, plus the 3.8% Medicare surcharge. S corps are taxed just once, at the individual level. After an asset sale or liquidation, distributed profits are also taxed just once. Combined with the fact that an S corps' undistributed income increases shareholders' stock basis and reduces gain recognition when they sell company stock, this is a major plus. Under the new tax law, just 80% of S corp income is federally taxable, lowering the highest individual rate on that income from 37.0% to 29.6%. S corp shareholders have greater flexibility with deductible charitable contributions, and enjoy more favorable treatment of shareholder interest expense on acquisition debt. Ultimately, your business priorities will decide which course is the best for you. But, be sure to get professional tax advice, of course, especially before switching paths! The second largest bank in Spain, Banco Bilbao Vizcaya Argentaria or BBVA (also owns Compass Bank in the US), has launched a corporate loan focused on the digital maturity of its customers. Known as "D-Loan", the loan gives customers the opportunity to pay less if they achieve digital score targets throughout the life of the loan, such as boosting cyber security, increasing digitization, using digital marketing and achieving certain other digital business milestones. As the transition continues from Libor to SOFR, in March about $12.1B in swaps tied to SOFR was traded. That is almost twice the high reached in January and also represents approximately 40% of the SOFR swaps completed since July. FirstBank ($5.1B, TN) will record a $2.5mm restructuring and severance charge and sell its third party wholesale mortgage origination business to Renasant Bank ($12.9B, MS).